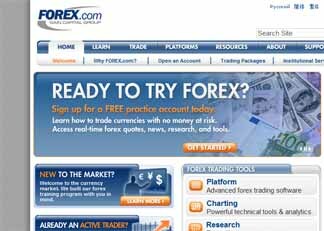 Forex Brokers Reviews is a 100% free and independent forex service. We never join any affiliate or referral program! We don't charge a fee to any forex brokers or service provider nor to our users. All forex brokers reviews are just based on the last test performance of each service. Hi guys! Let's face it, the majority of all forex brokers that support the MetaTrader 4 platform are pure bucketshops. The truth is you are not trading in a true market environment but instead are in a "sandbox" type of trading environment called dealing-desk where the broker has full control over your position. You are winning money - he is losing it. And in such type of environment winners are obviously not welcome... If you win consistently on a long term basis your account can be banned or suspended and all your profits go to nowhere! or indeed in the broker's greedy pocket! I really like this one. Iamfx.com is very new however just in a few months it became a headline of the first innovative broker that "works for you", not against you like the majority of dealing desk market makers. Iamfx.com does not try to cheat you by skyrocket spreads during the asian session, sending spikes and offquotes when you try to exit the trade in profit (common broker trick). Iamfx business model is comprehensive and fair - they give your raw (means real low interbank spread without adding additional 2-3 pips to the spread like other brokers) and charge you 1 pip commission (which used to be 2.4 pips in the past but they made right decision to lower it). This means that your scalping EAs will have a greater chance of covering the spread and reaching the TP target faster. Overall I give IAMfx a triple AAA rating. I watch their MT4 and it picks up trades faster than other broker demo's I have running simultaneously. They lowered their commission awhile back too. It seems like they want to lead the charge and become the innovative broker and you can't beat the spreads. I saw a spread of 4 one day on the AUD/NZD pair one day. Tadawul has as high as 25. big difference. means more money in your pocket. Iamfx does not make huge promotional campaigns spamming all the forums and blogs, they are growing by providing good service and I believe that "word of a mouth" is the best way for promotion for the "right company". The only disadvantage is - they have no micro accounts however I heard they plan to introduce micro accs soon with 500 usd minimum deposit. Update November 2009 - today IAMFX added micro accounts. They also will soon offer more funding options like PayPal and credit cards. Customer Support: 24 hours customer support by phone, email or chat. The Good: Very easy account opening process. 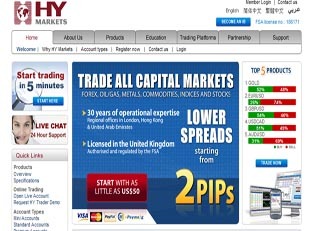 HY Markets is the best Forex Broker in the Middle East, winner of IBTIMES Trading Award 2011. "HY Markets is a division of the Henyep Group, a global diversified conglomerate with business in financial services, property, education, and charity spanning 3 continents and 20 countries worldwide. The Henyep Group of companies are registered and authorized in world-leading jurisdictions including London, United Arab Emirates, and Hong Kong. This provides clients with the comfort and security of a global institution". HY Markets is regulated and authorized by the FSA in UK. We offer total transparency and security of the world's leading financial centers. Some of our competitors have operating just for few years; we on the other side are serving the investment community for decades. We have very easy account opening process. You can start dealing only from $50 and in just 5 minutes, moreover you can fund account with credit card. In addition, HYM offers multiple trading platforms. We have revolutionary Web-based Trading Platform. You don't have to download any software; you can access the platform from anywhere in the world with Internet connection. On the other side you can choose our award - winning download platform with advanced charting and technical analysis tools. HYM offers complete product offering. Trade Forex, oil/gas, metals, commodities, indices, and stocks. HYM has a personalized customer support. 24 hours customer support by phone, email or chat. Furthermore, experienced support staff and help desk in local languages. Plus, we have personal VIP service. Walid: hello, Walid HY Markets how can I help you? Mark: hello, are you licensed? Walid: yes, HY Markets is licensed by FSA in UK. Mark: what kind of platforms do you have? And which one is better? Walid: well, we have Web trader and MT4. Every platform has its features, for the web trader you can select the amount of risk, in this case you will not lose more than the amount of risk you have selected, and you can freeze the price when you request a quote. For MT4 platform, you will have the hedge facility which means that you can take an opposite position of your current position without closing it. Mark: tell me more about your spreads and leverage. Mark: you are one of the rear brokers who have Islamic Account, what are the conditions can you offer with this account? Walid: on Islamic accounts you will have 15 days free of charge for each position you open after 15 days you will be charged the normal rate. Mark: how can anyone deposit money and start trading? Walid: we have three payment methods to fund your account: Paypal, Credit card, and wire transfer. Mark: what are the new features for HYM? Walid: when you open an account with amount of $2500 we will provide you with a very useful features like auto chartist and trading central we also have VIP dealing desk and mobile applications like iPhone, iPad, Windows mobile and Android. Mark: tell me more about auto chartist and trading central. Walid: sure, Auto chartist is a leading provider of independent investment research to financial market professionals, specializing in the field of technical analysis. Autochartist is a powerful piece of software that scans Forex, Equities, Indices, and Commodity markets, which automatically identifies chart and Fibonacci patterns such as triangles, wedges, projections and retracements throughout the trading day. Mark: do you charge clients for providing trading services? Walid: no, we don't charge the client any charges or commissions. Mark: do you give trading advises to your clients? Walid: as we are a licensed and regulated company from FSA we are not allowed to give the client any trading advises, but we provide the client with all sources and information to help him make his decision for trading. Mark: how can one generate money in case HYM became bankrupt? Walid: It is almost impossible but if…"The FSA 'Client Assets Rules' require Henyep Capital Markets (UK) Limited to segregate all money due to you on a daily basis and hold these funds in a separate account held at a bank approved by FSA. We will hold these funds as trustee. As a result the approved bank or any other creditor of Henyep Capital Markets (UK) Limited will not be in a position to claim these funds in case of liquidation of Henyep Capital Markets (UK) Limited. This also means that your funds and other assets will be segregated from Henyep Capital Markets (UK) Limited's own money and will not be available to us for use in the course of our business. We may hold your money and the money of other clients in a pooled bank account. Hence in the event of a default by the bank causes any unreconciled shortfall in the money held in the pooled account, then you may share proportionately in that shortfall". Mark: can we visit you at your office? Walid: our office designed for online customer service so we are not able to host the clients. Mark: what kind of facilities do you have for high deposits? Walid: we can provide you with a credit bonus up to 10% of your deposit amount. Mark: how much is your swap? Walid: we have a specific formula to calculate the swap depending on the instrument you trade. Mark: thank you a lot for your professional attitude. Walid: would you like to open an account with HY Markets? Mark: I definitely recommend HY Markets, they sound very professional and from some of my close friends I hear only positive feedback. For more information on how to open an account with HY Markets log in here. To visit HY Markets website, please click here. 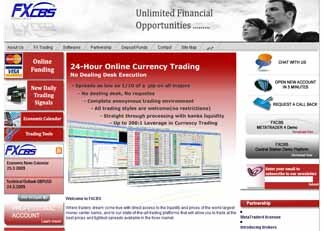 FXCBS broker is rather new (they were opened online in the end of 2007) however it became very popular recently after fapturbo introduced them to the general public. FXCBS is one of the rare brokers that offer really good trading conditions - honest ECN environment, variable spreads which can be as low as 0 and fast execution. Update June 2009 Good news - FXCBS lowered min. deposit to $1000 and started to accept US members! Regulation: Location in the USA, membership in NFA, availability of CFTC. Customer Support: Free multilingual telephone lines is in almost 40 countries. 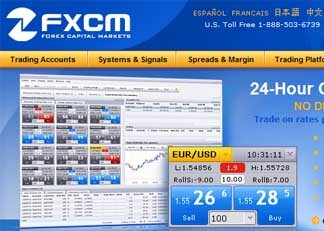 FXCM is an american company. It is registered in FCM and regulated by CFTC. It is also a member of NFA. It's head office is situated in New York. The company is also registered and has offices in Canada, Hong Kong, UK, Japan. It is registered in the national regulative bodies of these countries. The company offers a complete set of client accounts: individual, incorporated, corporate, guided, partner. There are standard (minimum deposit $2000, lots on 100K) and mini (deposit from $300 or 300 or ?��300 or AUD300, lots on 10K) accounts. The site has a section called ?�Education?�. It offers paid online courses and free educational ?�webinars?� (interactive online seminars). Opening demo-accounts is possible. 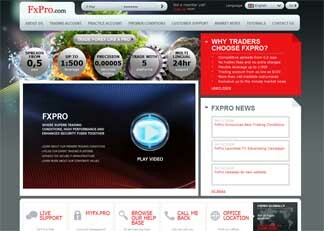 The trading platform is FX Trading Station and it requires installation. It offers basic informative and trading services, except for graphic analysis. There is also a special appendix of FX News Software for a transmission streaming market news in the trading platform, technical levels, and FX commentary. The new MT4 platform offers no dealing desk trading" as they claim however there are some offquotes issues in MT4 trading here. Spreads are variable and pretty small all the time. The min. deposit for MT4 trading is pretty huge but they plan to decrease it in future. Stephen: Welcome to FXCM's Live Chat Feature. How may I help you? Stephen: This is Stephen. How can I help? Mark: Hello. Could you explain - what is better TS2 or MT4 trading (I mean liquidity supply, trade execution etc)? Mark: Why? Could you tell more details? Stephen: Many forex traders love the MetaTrader 4 platform, but want the benefits of FXCM as their broker. Mark: yes thank you. Does TS2 have some API for Forex Robots (EA) programming or automation of trades? Mark: BTW, do you plan to add more liquidity suppliers? Stephen: Do you currently trade FX elsewhere? Mark: ok thank you for replies. i am already a member and like your service.. bye! The spreads are normal comparing to other brokers and I have not heard anything bad about them. However UK and US versions do not have live support and Russian company live support could not respond properly about the differences between their 3 companies and was very unfriendly. Mark | 16:33 Do you have English live support? Mark | 16:36 Hello. I am interested in Alpari brokerage and would like to find out more about it. Are you regulated? Mark | 16:35 are you here? 16:36 Dmitry Suvorov has joined the chat. Dmitry Suvorov | 16:36 Hello! Yes. We are regulated by FRA. Dmitry Suvorov | 16:36 http://kroufr.org/ If you mean Alpari IDC Corp.
Mark | 16:37 I know you have Alpari Russian, UK and US versions. I am very confused. Which one is better and more reliable? What are the differences? Mark | 16:39 Which one is better and more reliable? Mark | 16:42 is this a live support or what? it takes 10 mins to get your reply. do you have proper english live support? Mark | 16:44 I ask what are the differencies between your 3 companies. Do you have different price feeds? UPDATE APRIL 2009 Alpari is going to decrease spreads on 16 currency pairs including popular EURGBP and EURCHF! New night spread will be 4 instead of 5! That means fapturbo clients have much more possibilities for successful trading. Regulation: IBFX is a registered Futures Commission Merchant (FCM), registered with the Commodity Futures Trading Commission (CFTC). The Good: Very quality and secure website, perfect support. 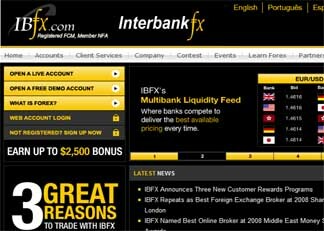 InterbankFX is the registered in the US, controlled by CFTC, and is member of the NFA. Judging by the absence of dealing and stream quotations, the company is an ECN. The West Bank is a partner ? ?� a liquidity supplier. A wide set of client accounts is offered: individual, incorporated, guided, partner, and corporate. The basic trading platform ? ?� MetaTrader4 is one of the best and most powerful free programmes on the modern market. A site is done pleasantly enough and correctly. Navigation is easy and clear. Information for beginners is presented in a very detailed, separate, part of site called ???University,??? demo-accounts which are free for 30 days. In addition, to the FX Educator,??? which is offered to the client, there is an educational course (on 2 DVD's); which come together with the opening of the mini-account with $300. Client Services : Hello, my name is Ben. How can I help you? Mark: Hello. I noticed that IBFX spreads are way too high comparing to other brokers. Could you explain? Client Services: Since we don't fix our spreads, they can fluctuate at any time. Sometimes they are lower than other brokers, sometimes they are not. It just depends on the prices that our liquidity providers set. Mark: Do you plan to add more liquidity suppliers soon? Mark: How many do you have now? Client Services: We have several, including including: Bank of America, JP Morgan Chase, Goldman Sachs, Citicorp, and Barclays. Client Services: I haven't heard anything specific about adding more liquidity providers, but we are always looking for those opportunities. Client Services: With the state of the global economy, liquidity providers aren't as eager as they once were, so I'm not sure it will happen anytime soon. Mark: Is IBFX a true ECN environment or dealing desk broker? Client Services: We are a straight through order processor.. not a dealing desk. Mark: Do you plan to decrease the spreads in future? Client Services: They are determined by our liquidity providers. We don't plan on becoming a dealing desk, so, no, we don't plan on fixing our spreads in the future. Mark: Do you mean the spreads are high due to financial crisis or any other reason? Client Services: low liquidity, market volatility... there are a number of factors that can contribute to widening spreads. Mark: okay thank you for reply. Good service. Update April 2009 IBFX has announced the upcoming change to 5 digits in price quotes which also should decrease their spreads. The spreads are bit high comparing to other brokers however their service is on a professional level by all means. Few things you should note here. They don't offer microlot trading on standard account, so minimal lot increment would be 0.1 here, not 0.01. Also after creating your account they always forget to activate your account so you would get "Ping Lost" errors in Log when trying to trade until you contact them to finally activate your account. Chat Information - You are now chatting with 'Lianna', May i have your FxPro account number please? Lianna: Hello, How may I assist you? Lianna: At FxPro we offer floating spreads as low as 0,5-5,0 (the best retail offer in the market) Sometimes this is not possible to establish. Spreads we compose in the system depend on spreads we receive from our counterparties, and when we receive prices with already increased spreads from major liquidity providers in Forex we must increase ours. As a regulated company we always have to provide our clients the most competitive market prices, that is why we are doing our best in this situation. you: Where are you regulated and when was founded? Lianna: FxPro.com is proud to say that it is a fully regulated European broker, bringing with it all the benefits and security on offer in today? ?�s busy marketplace. Lianna: Owned by EuroOrient Securities and Financial Services Ltd, an investment firm, resident head office in Cyprus regulated by the Cyprus Securities and Exchange Commission (www.cysec.gov.cy ) (license number 078/07). Our company is a member of various professional bodies like CIFSA (Cyprus International Financial Services Association, http://www.cifsa.org/ ), CCCI (Cyprus Chamber of Commerce and Industry, http://www.ccci.org.cy/ ), CFSFA (Cyprus Financial Services Firms Association, http://www.cfsfa.org.cy/ ). you: When was FXPRO founded? does it have any relation to "northfinance"? Lianna: EuroOrient Securities and Financial Services Ltd, a financial services company authorized and regulated by the Cyprus Securities and Exchange Commission under the license number 078/07. Lianna: EuroOrient was registered on 31 July 2006 and received the first license in 05 March 2007. Lianna: We acquired all of North Finance's clients and trading operations as on June 1st 2008 you: Sounds good. Do you plan to add more liquidity suppliers to decrease the spread conditions? you: Last question - do you welcome winning EA systems such as fapturbo at fxpro? you: what kind of assistance? Lianna: Expert advisors are of course allowed on our platform, but please make sure that they are set-up correctly to allow for the 5th digit which is one of our advantages using our FxPro Metatrader4 platform. You may be able to set them yourself if possible in the settings, otherwise you will have to seek assistance from the supplier of the advisor who will of course be happy to assist. you: okay thanks for replies. Good service. Here is what we received about FxPro: "Please be aware that FXPRO broker is no longer accepting US clients! Due to a new requirement from the us for a Very large capital requirement." 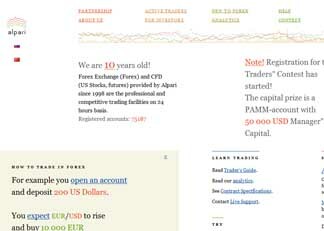 Capital Market Services LLC began operating on the Forex market in 1999. CMS is incorporated in the USA and is a member of NFA, registered in CFTC. CMS trades in 7 basic currency pairs (to USD) and their cross-courses, other financial instruments are not available. Information concerning term-of-trades is placed compactly on the site. The size of credit leverage is set from 400:1 to 40:1; clients have 3 variants of choice. The site is fully translated into several languages. CMS offers the demo-accounts for an unlimited period of time. There is a page for beginners on the site, containing short, basic, information, about the Forex market and a general explanation about trading principles. The platform is powerful enough, and executes basic, informative, services (translation of quotations, exposure/execution of orders, showing of the state of positions and account), graphic and technical analysis. Lev: Hello. Can you please tell me your name and how I can assist you today? Mark: Hello. Do you provide MT4 or maybe plan to provide in future? If yes, when? 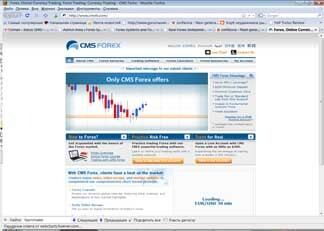 Update April 2009 - So far I am dissapointed with CMS Metatrader version. Spreads are too high comparing to other brokers on all majors.. Customer Support: Multi-Language + Live Chat available. I used FXDD for a long time and find it pretty good however their support is very slow and far from perfect and the spreads recently are way too high. 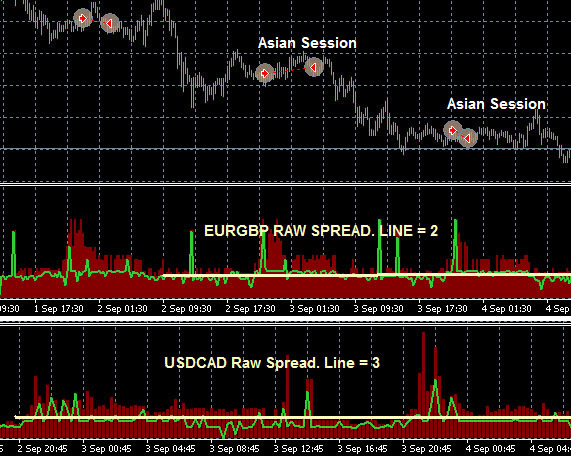 For example - how do you like this spread history chart? 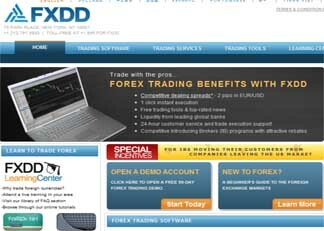 English Support: Welcome to FXDD Live Chat. How may I help you? Mark: Hello. When was FXDD founded? Are you regulated? Mark: Are you a dealing desk broker? Mark: Do you consider to make the spreads lower in future? Mark: I tried to compare FXDD standard and Xtreme. You claim lower spreads on Xtreme however I could not find any significant difference. They are same high but fractional. Please explain. Mark: Okay. that is sad.. thanks for your support anyway..
Update April So far I am not happy with this broker. The Fixed Spreads on a standard FXDD account are way too high and the eXtreme account with variable spreads has frequent offquote errors and high commissions.